As your business grows, it’s harder to keep track of what’s due. Workiz lets you stay on top of what’s owed and your payment history. 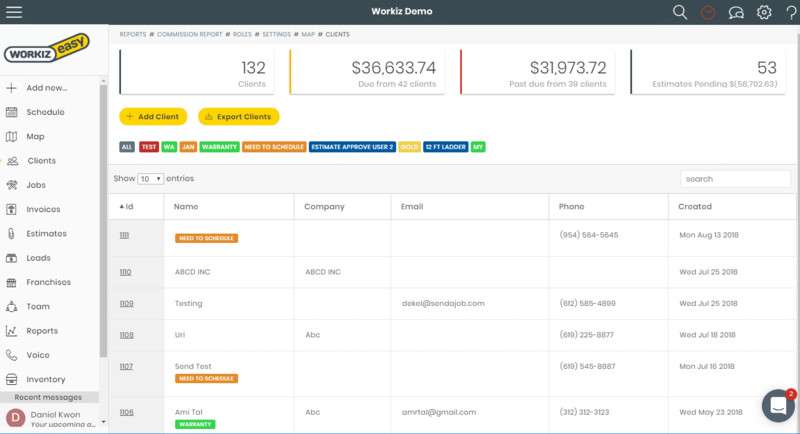 Workiz client management allows you to see what clients owe, and what is passed due. You can also see at a glance what jobs and invoices were sent and what payments were received. 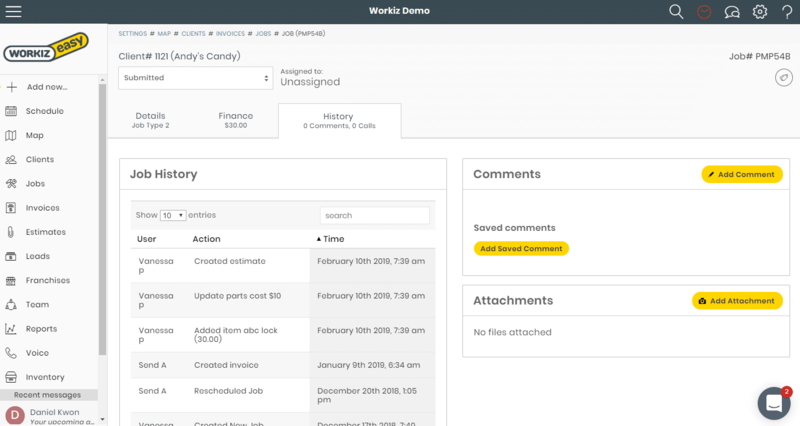 With Workiz, you can always get a quick overview of your invoices by status and date. So you can see if invoices were sent and when they are due. Find all payment information in seconds – because time is money! You can view payment history by client, job or use the payments report to search for an amount, date and reference number. 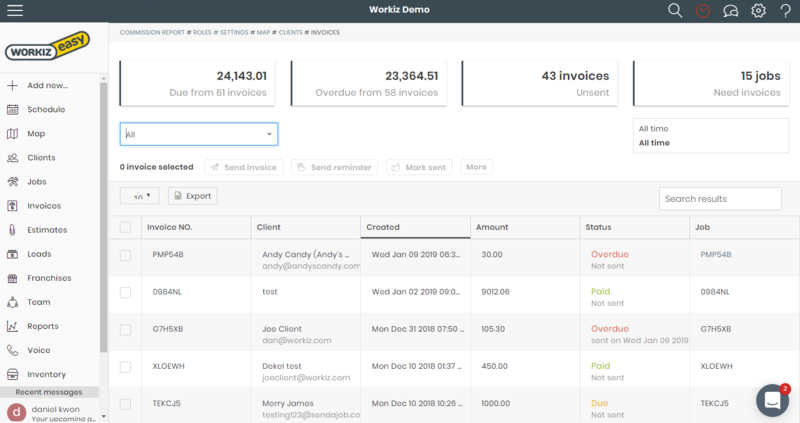 Our Invoice panel allows you to see the status of company invoices at a glance, and send bulk actions – like sending customers with overdue invoices a bulk reminder to pay. This not only saves you time, but streamlines your workflow with easy automation.